I have called on the Government to reverse their decision to cut bursaries and impose fees on student nurses and midwives after new figures revealed applications for courses at Sheffield Hallam University had fallen by 22%. Speaking in the House of Commons yesterday, I reminded Ministers of my warning to the Government in January 2016 that plans to impose student debt of up to £50,000 on nurses and midwives would lead to a fall in applications. At the time the then Health Minister, Ben Gummer, told members that the Government wanted to spread to nurses the same benefits that have been realised in the rest of the student population. Some of us expressed scepticism that nurses and midwives would see £50,000 of debt as a benefit. And we warned that these were courses that still provided a route into professional careers from those who were put off university by fees -; mature students and others from lower income backgrounds. The new loans system for nurses will be introduced in September this year and final numbers for applications for courses were published last week. Sheffield Hallam University has seen a fall of 22%, a drop reflected across the country. The Government has casually ignored the warnings. Now they’re ignoring the facts. At a time when we desperately need more nurses, there has been a massive drop in applications. 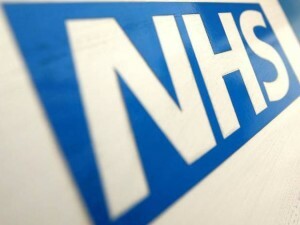 The Government are knowingly adding to the crisis in the NHS.